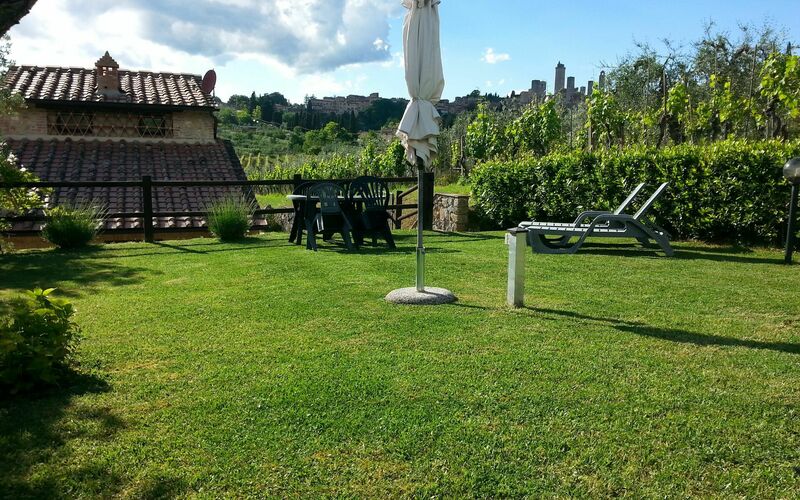 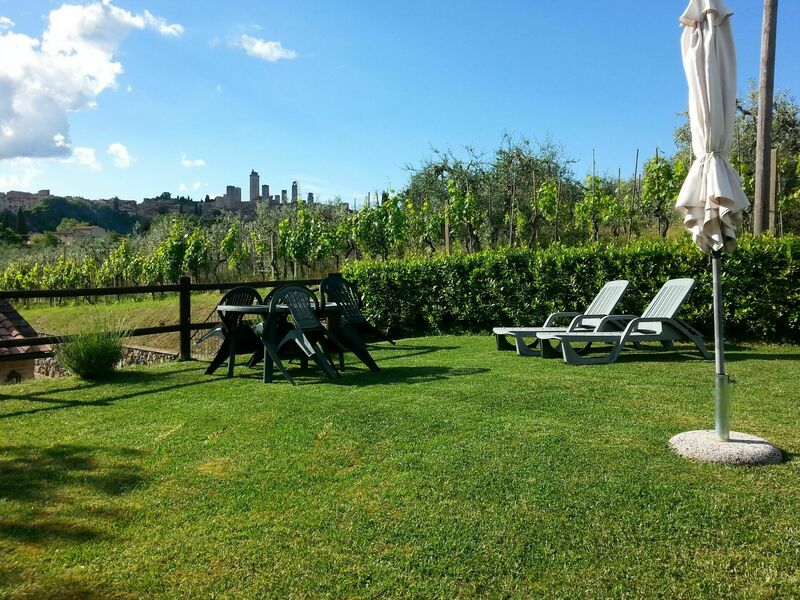 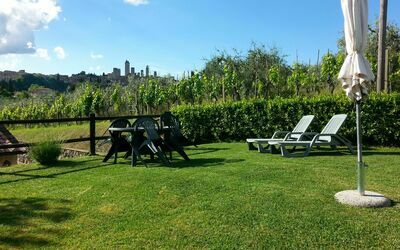 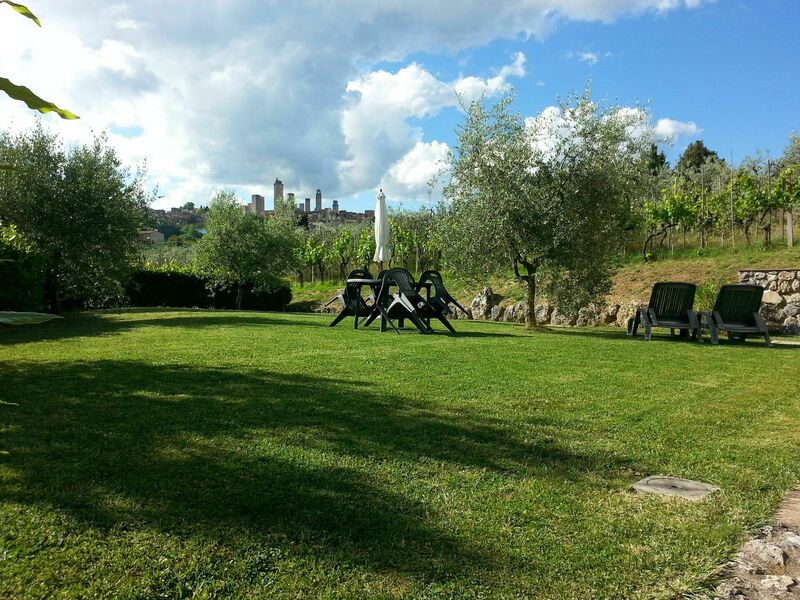 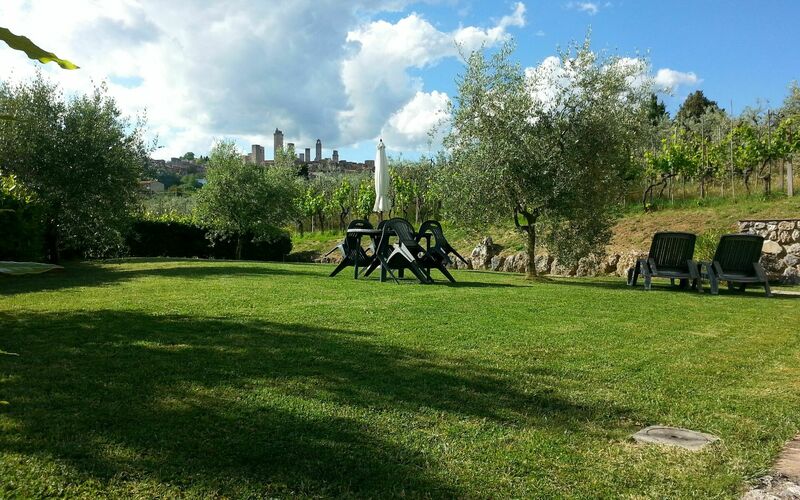 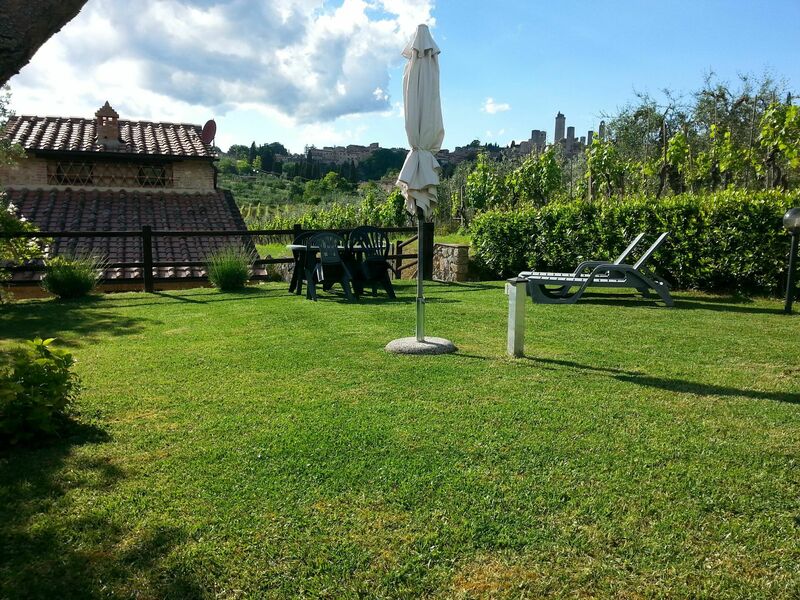 Three comfortable apartments just outside of splendid San Gimignano, the medieval village that attracts visitors from all over world every year. The property is composed of the owners' apartment, the Olive apartment (located next to the owners' apartment), and the Ortensia and Melograno apartments (located a short distance away, in a renovated barn). 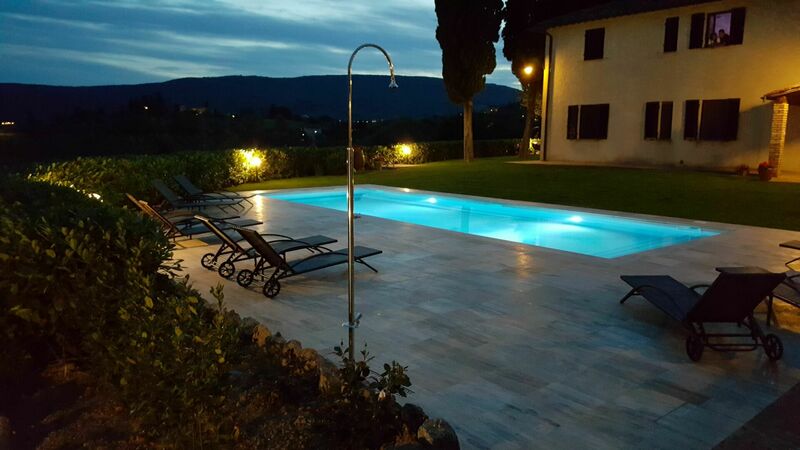 All of the apartments are well furnished and very comfortable. 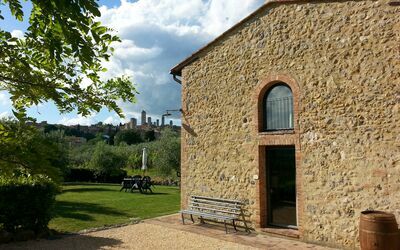 San Gimignano is just 1 km away and can even be reached on foot via a very panoramic, small country road. 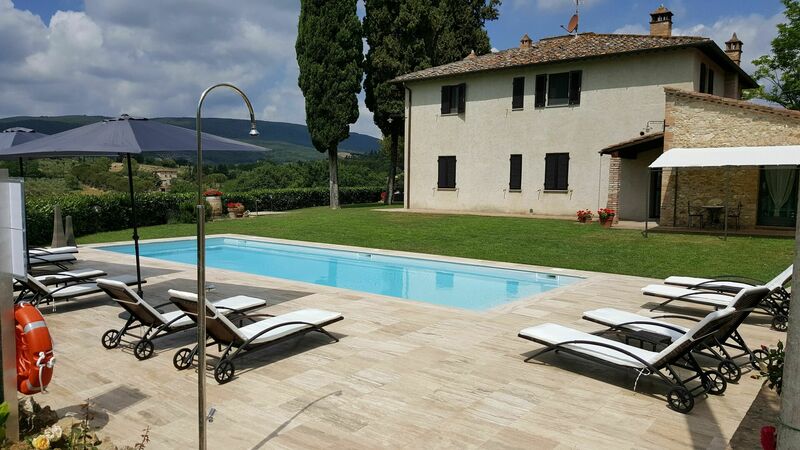 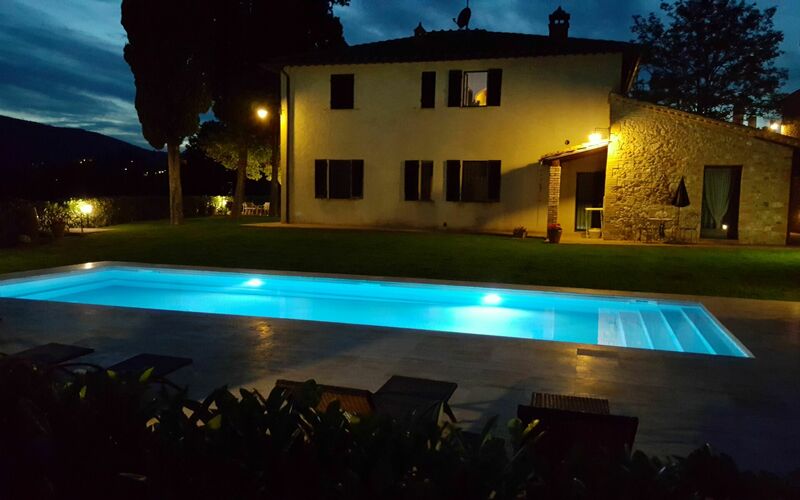 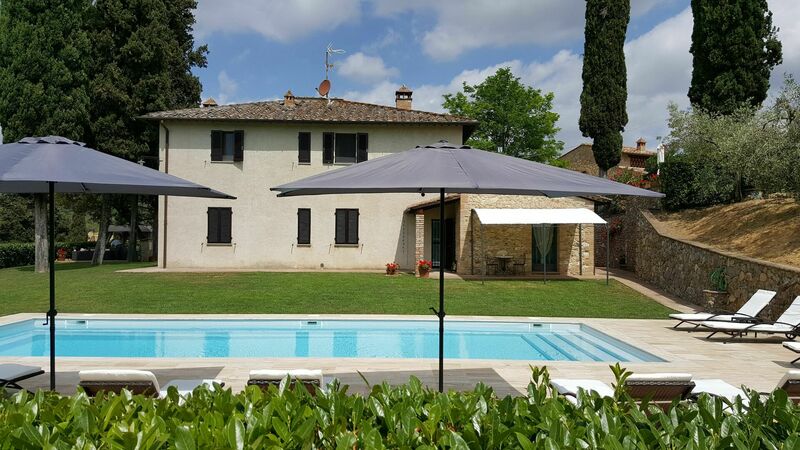 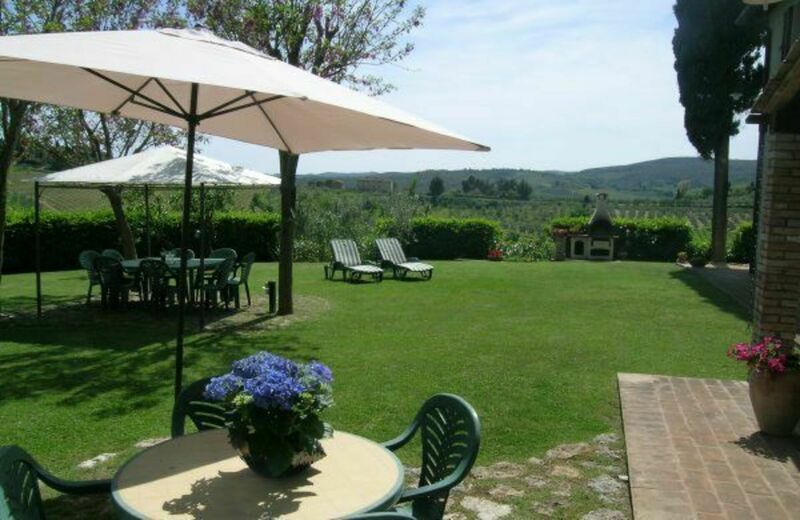 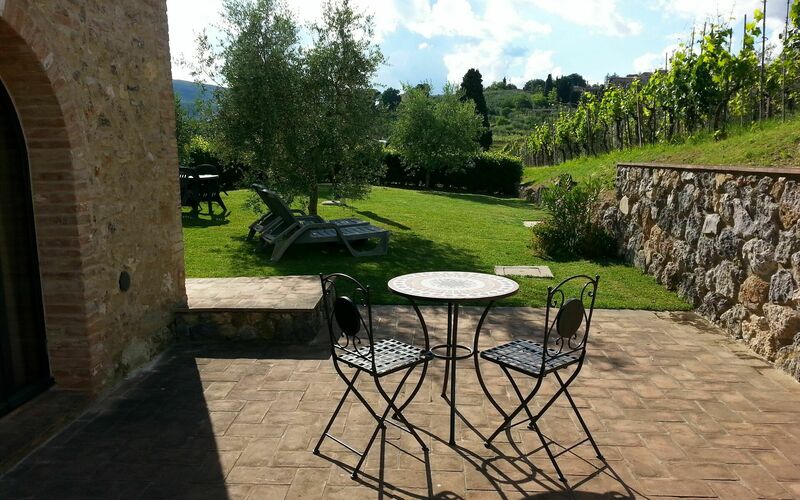 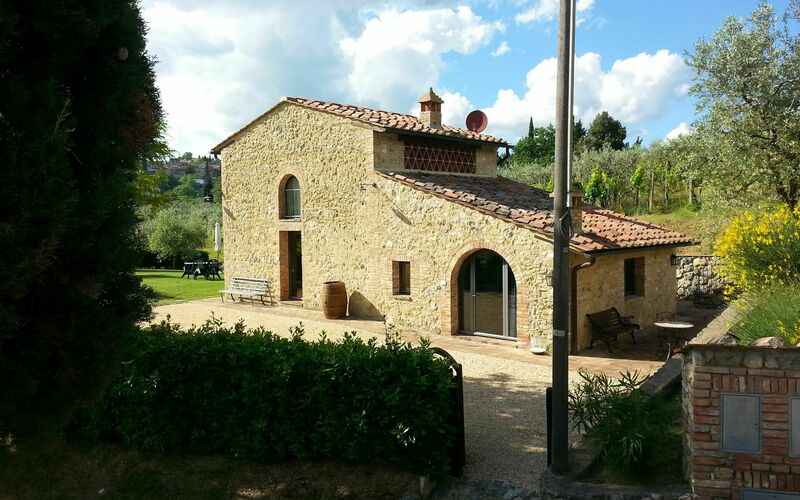 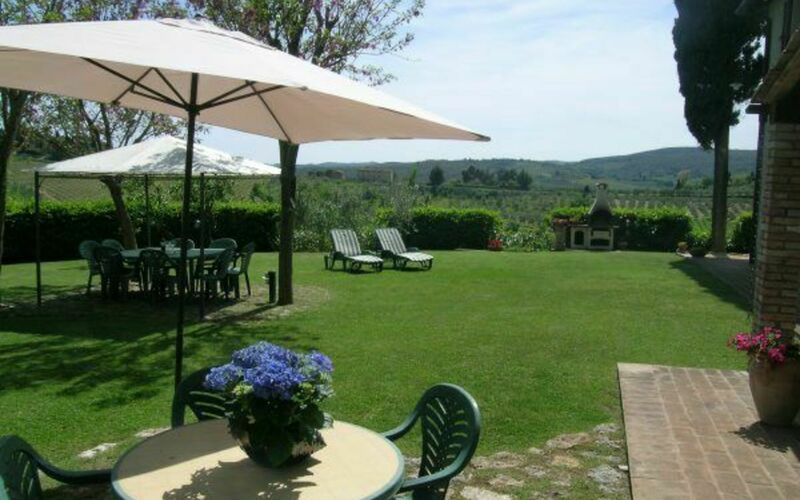 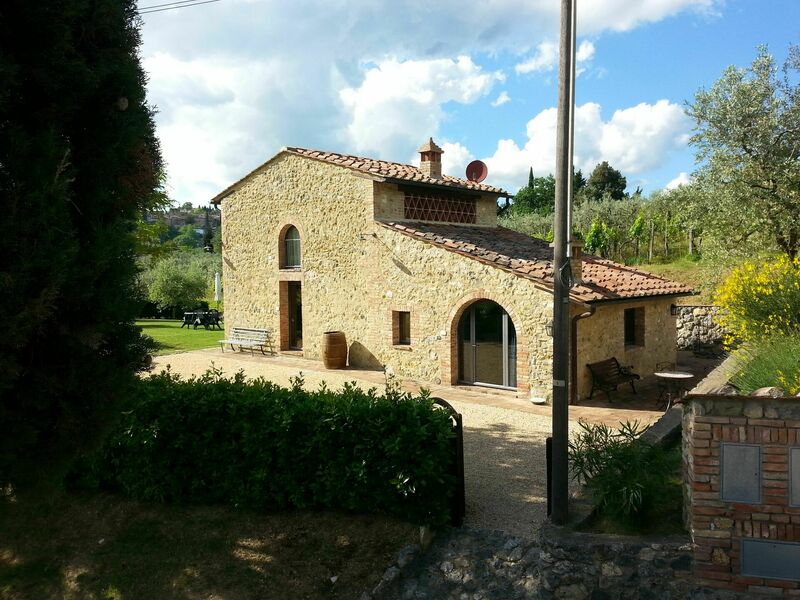 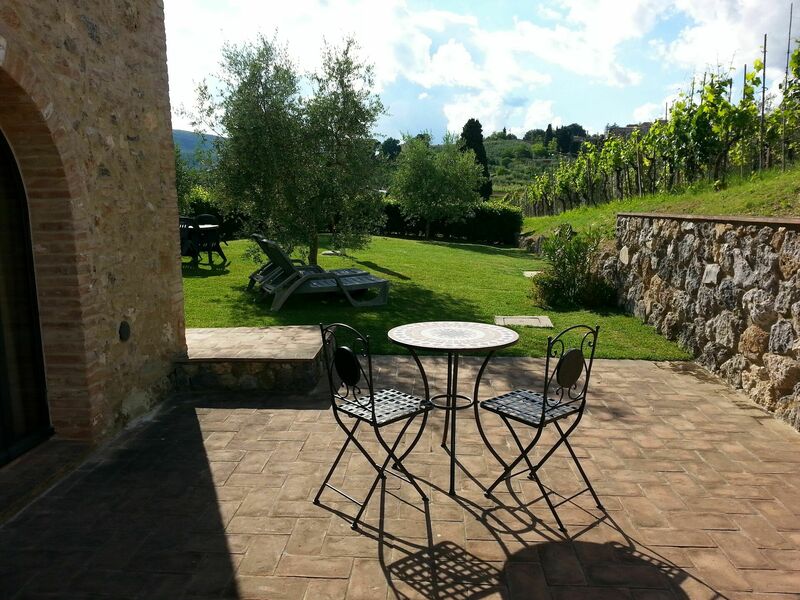 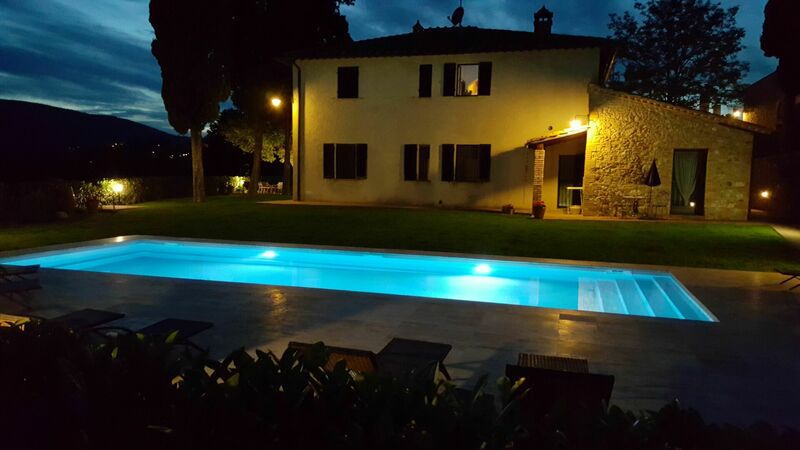 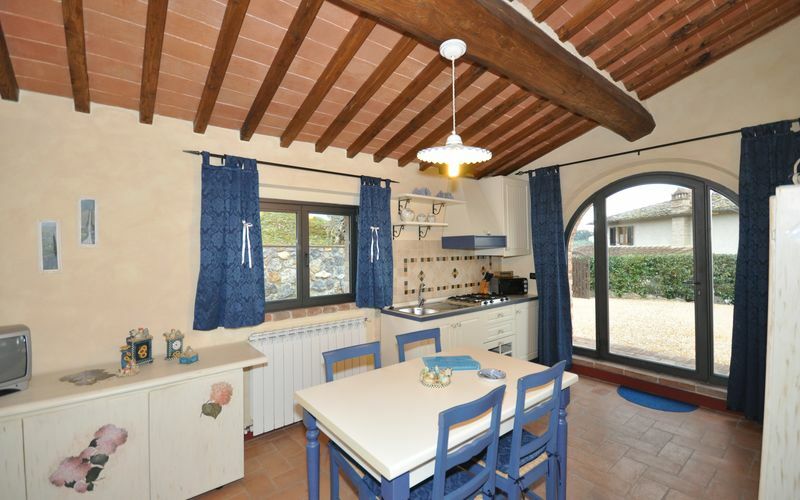 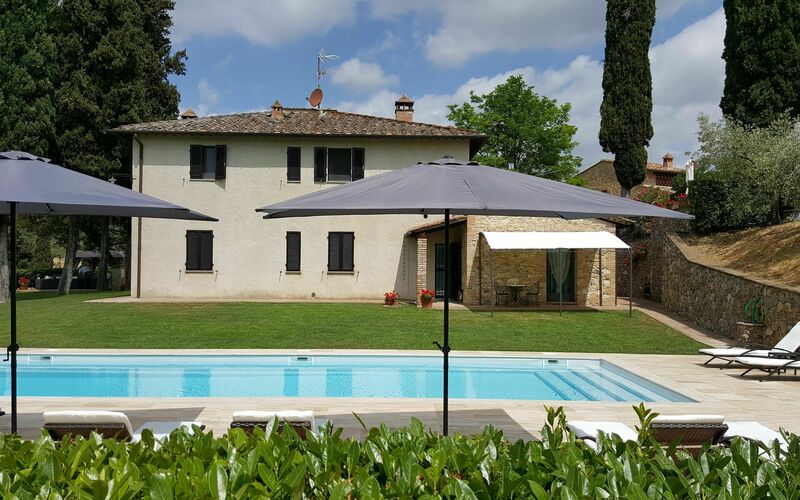 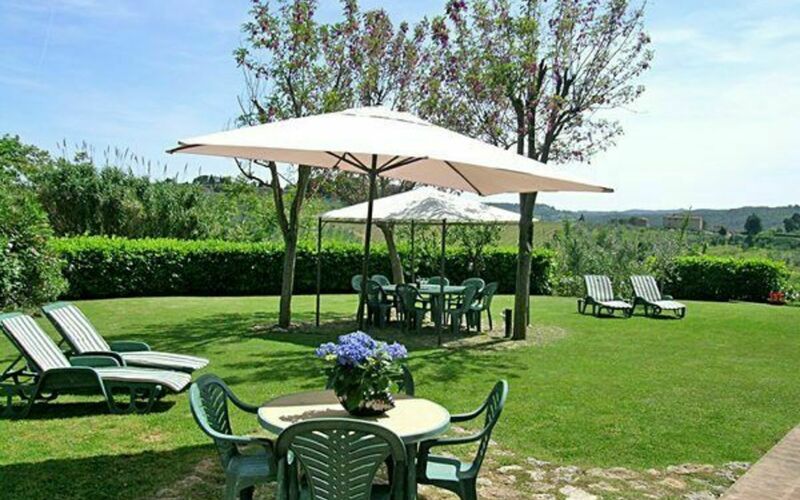 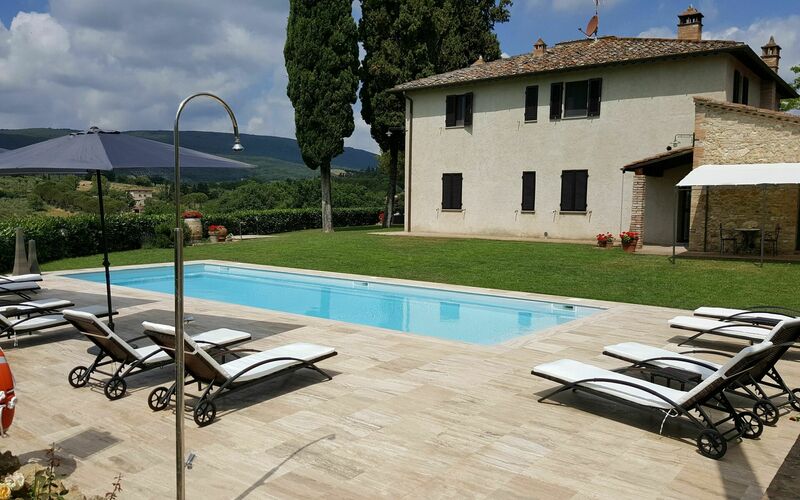 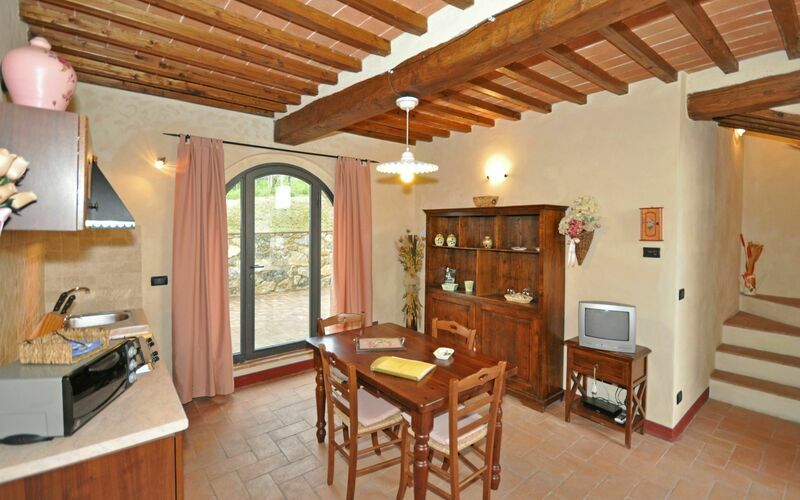 This property is in an ideal location for visiting the beauties of Tuscany. 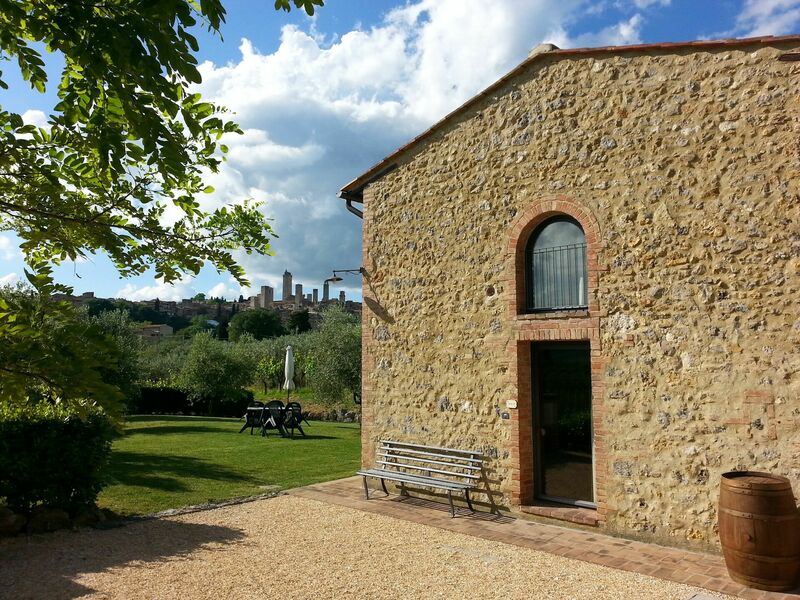 The road connecting San Gimignano to Poggibonsi is about 50 meters away. 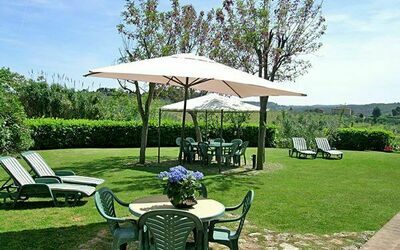 Distances: San Gimignano with shops of all kinds 1 km away, Poggibonsi with shops of all kinds, train station and highway access 10 km away, Certaldo 14 km, Volterra 25 km away, Siena 35 km, Florence 50 km, the Chianti Classico area is within a 30 – 60 km radius, Pisa and Lucca are about 75 km away. 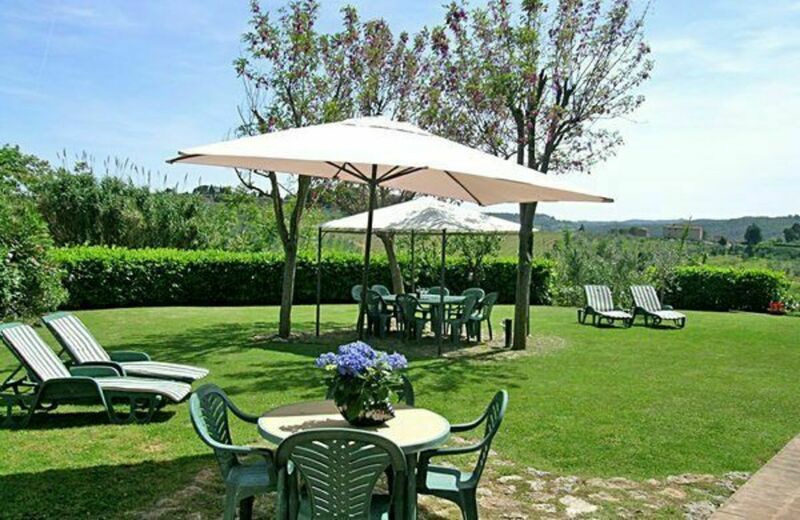 At guests' disposal: each apartment has air conditioning in the bedrooms and a large, private equipped outdoor space (garden as well as terrace), stone barbecue shared by guests. 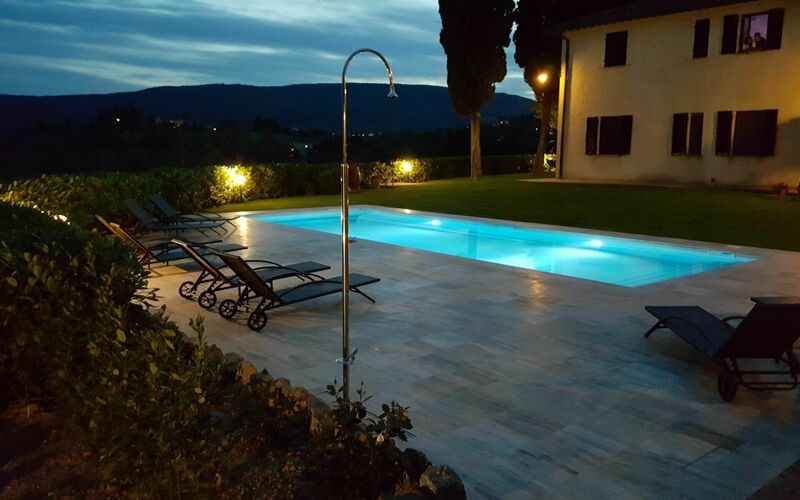 WI-FI internet connection available free of charge in the apartments as well as outdoors. 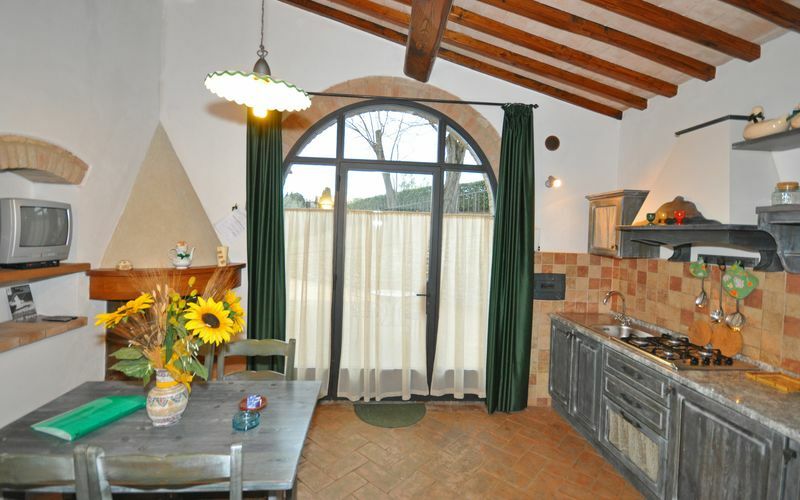 A laundry area with washing machine is available to all guests. Extra services: Baby bed (available free of charge).